An innovative platform integrates data and information to create a "smart" public transport system. Every day, in the city of Belo Horizonte (Minas Gerais, Brazil) alone, 160,000 web searches are submitted for the following questions: "Which line should I take to reach my destination? "; "Where's the bus stop? "; "At what time does the bus leave?". A figure reflected by the fact that 8% to 11% of Brazilian citizens require more information on public transport, 5% to 8% would take the bus more if they had more information readily available. 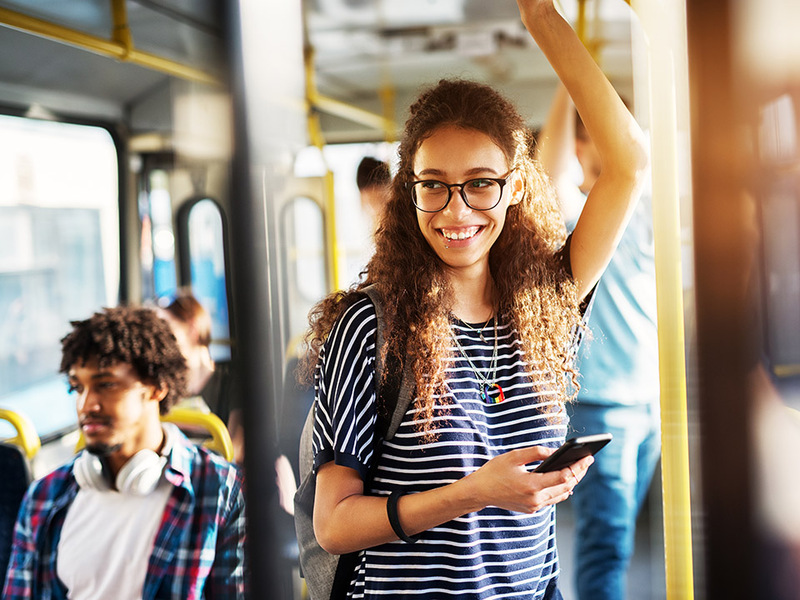 Considering this clear need expressed by citizens, Engineering do Brasil, the Brazilian division of our company, created INFOBUS, a platform based on a software for the analysis and management of data from the public transport system. INFOBUS collects the data using the IoT paradigm, organizes it, makes it accessible through different channels (at bus stops, via the web, via smartphone, etc. ), and facilitates the proper use of public transport for all citizens. 24/7 automatic response service for end customers. Display of maps, routes and lines in real time. Interactive dashboard for smart management of the system on cloud. Applications for "field data collection".